After developing some of the world’s most advanced AR and 3D technologies, JD is now bringing its online AR capabilities offline. Based on the company’s previously launched AR Styling Station, which enables customers to virtually try on products such as lipstick and blush with real makeup effects, JD’s AR Beauty Mirror will appear in retail giant Walmart and Chinese cosmetics brand Carslan’s brick and mortar stores. 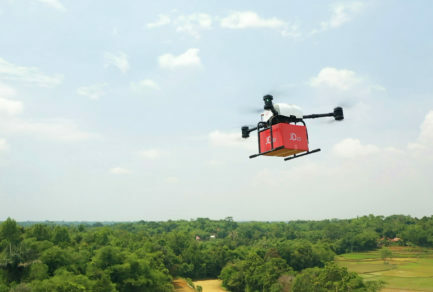 JD.com has been advancing the online shopping experience through AR and 3D technologies, creating multiple interactive experiences to help shoppers find and select products, and create new digital touchpoints for brands with its consumers. JD’s new offer solves several problems that have long plagued beauty shoppers, including hygiene concerns and tester availability. It also adds convenience, since shoppers no longer have to leave the store with rainbow-stained lips or cheeks from trying too many products on during a single shopping spree. By using JD’s Beauty Mirror, shoppers can try on as many products as their hearts desire (including some of the more bold choices they wouldn’t have dared to try in the past), select the ones they wish to purchase, and walk out of the store looking exactly as they looked when they entered. 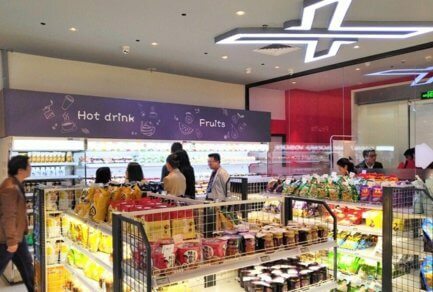 JD has already implemented the AR Styling Station with over 60 brands on its platform. The platform’s AR Glasses Try-on feature lets shoppers virtually try glasses on to see if they suit their faces. And JD’s 3D Fitting Room gives shoppers the ability to try on clothes before purchase through a customized avatar matching their hair, faces and body dimensions. The feature has already been implemented for over 3,000 SKUs in the male and female apparel categories. For brands, the addition of AR features provides them with additional touchpoints with their customers, especially online where they otherwise might not have them. Brands can use interactive AR features such as games to tell the brand story to prospective customers and loyal fans alike. JD has worked with dozens of brands in AR marketing, including L’Oreal, Maybelline, Max Factor, Budweiser, Tsingtao Beer and TWE, among others. Through AR marketing campaigns, customers are immersed in a brand story or game to build a unique and interactive experience. 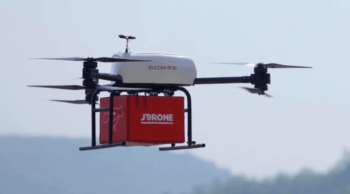 Chinese spirit brand Jiangxiaobai has partnered with JD to create an AR marketing campaign and increase sales on JD.com. Consumers who scanned specially labelled bottles of Jiangxiaobai with their JD app would be immersed in a game in which they can play bartender and test their mixology skills, for the change to win coupons to apply to online purchases. 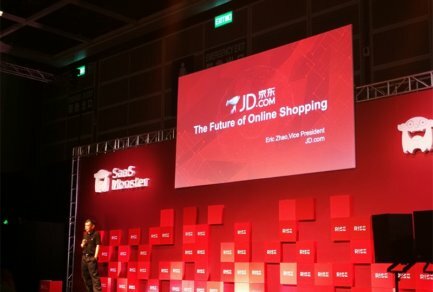 “The AR campaign we created with JD provided a highly energized touch point with our targeted consumers online, offering our brand a valuable opportunity to build relationships with customers and allow them to better understand us as a brand,” said Yan Wang, Director of E-commerce Channel, Jiangxiaobai. JD is also exploring the use of AR glasses for shopping guides to create a truly immersive, entertaining way to inform consumers on their shopping journeys. The assisted shopping guides would integrate online data from JD to provide personalized and curated experiences in offline stores. JD continues to advance the use of AR to revolutionize all facets of retail. 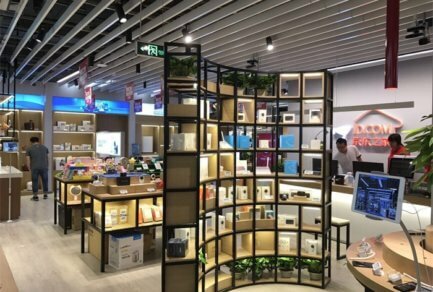 As an example of its Retail as a Service strategy in action, the company is exploring how to leverage its resources with external partners, including hardware manufacturers and content creators. The company is actively working with Vipshop to apply advanced AR technologies in online fashion. JD will also explore AR and MR (mixed reality) shopping scenarios with Lenovo, leveraging the company’s hardware to enrich the shopping experience.